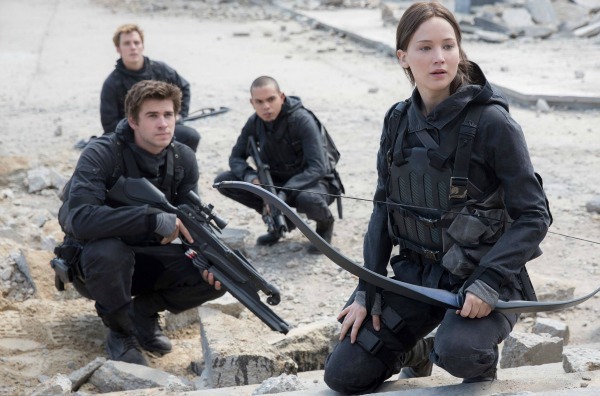 Since the first The Hunger Games movies burst onto our screens it’s certainly raised the bar on the flurry of YA movies that we’ve been bombarded with. With its strong storyline and female protagonist the whole franchise resonated with a lot of people of all ages, we wanted to celebrate the movies with a collection of the best quotes from The Hunger Games movie franchise. 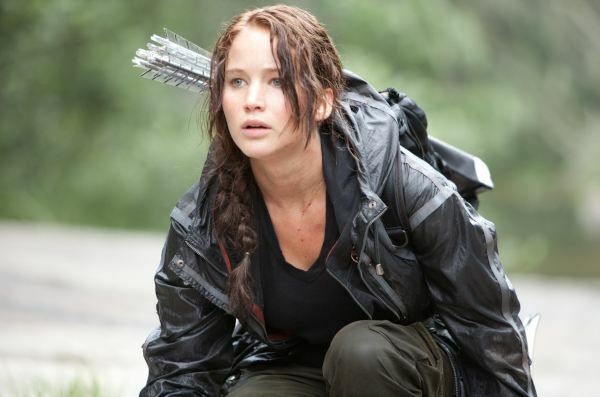 Jennifer Lawrence is brilliant as the strong kickass heroine Katniss Everdeen and the movie captures the dystopian universe with all of its raw emotions and violence with great balance and ambition. Katniss Everdeen: I volunteer! I volunteer! I volunteer as tribute! Effie Trinket: I believe we have a volunteer. Effie Trinket: Happy Hunger Games! And may the odds be ever in your favor. 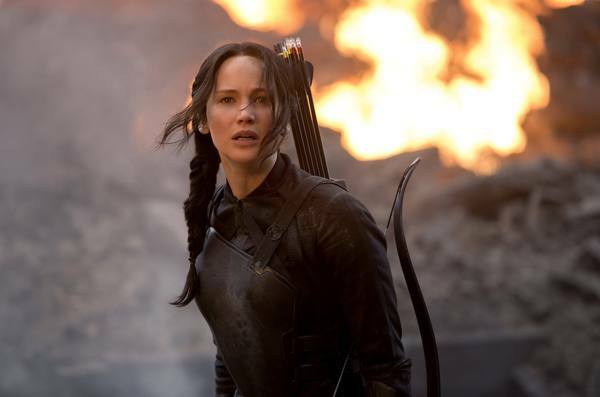 Katniss Everdeen: I’m not very good at making friends. Peeta Mellark: I just keep wishing I could think of a way to show them that they don’t own me. You know, If I’m going to die, I want to still be me. Lawrence continues to carry the movie with great believability. The movie surpasses its predecessor and keeps you engaged the entire time with a lot more character development showing their vulnerabilities as well as their strengths. Peeta Mellark: Our lives aren’t just measured in years, they’re measured in the lives of the people we touch around us. 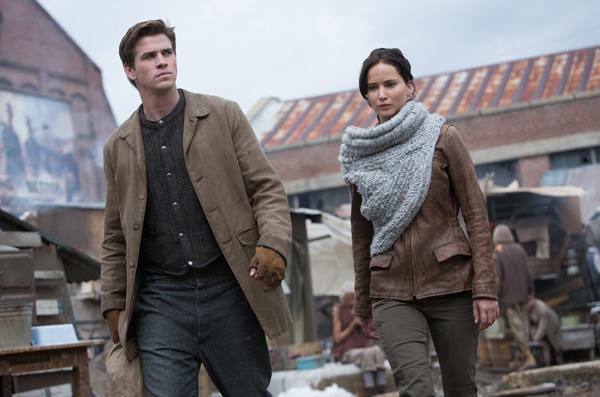 President Snow: Fear does not work as long as they have hope, and Katniss Everdeen is giving them hope. Peeta Mellark: If you die and I live, I’d have nothing. The political subtext of the story sets this movie at a much slower pace with very little action as it’s a build-up to the concluding film. The very dark and deeper undertone and the strong cast keeps this watchable. Plutarch Heavensbee: People don’t always show up the way you want them to, Madam President. Effie Trinket: Everything old can be made new again, like democracy. Effie Trinket: Everyone’s either going to want to kiss you, kill you, or be you. Haymitch Abernathy: You know, I like you better, Effie, without all that makeup. Effie Trinket: Well, I like you better sober. Finnick Odair: It takes ten times longer to put yourself back together than it does to fall apart. Katniss Everdeen: I never asked to be The Mockingjay. I just wanted to save my sister and keep Peeta alive. Even though the film suffers from some pacing issues it’s still a satisfying conclusion to the series with some worthy performances.